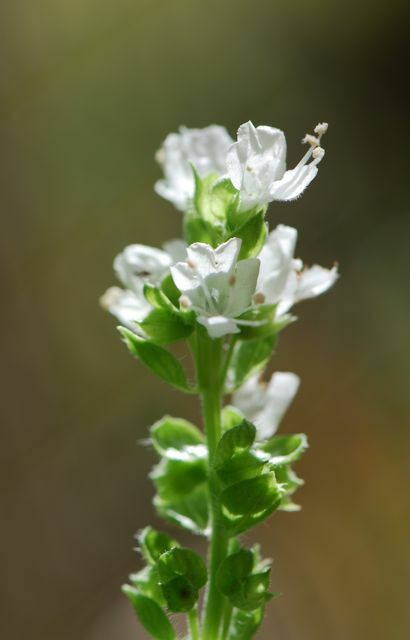 Last week's mystery seeds were indeed from a basil plant, Ocimum basilicum. 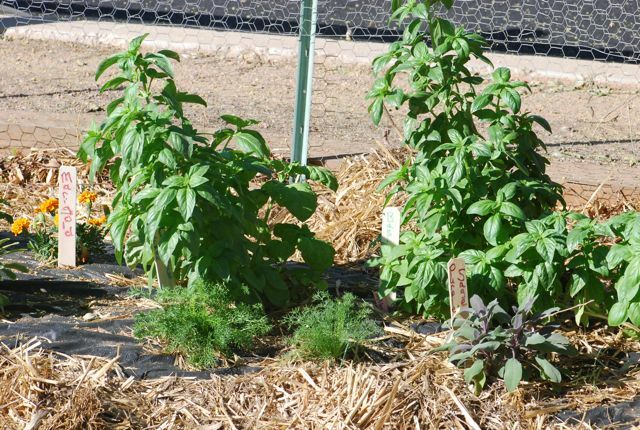 Originally from tropical areas of Africa and Asia, basil loves the warm summer sun in Arizona. It is relatively easy to grow in pots as well as in the garden. Some of the varieties are small and compact. Other are colorful, for example the purple Dark Opal basil. These lovely white flowers are what produce the seeds. 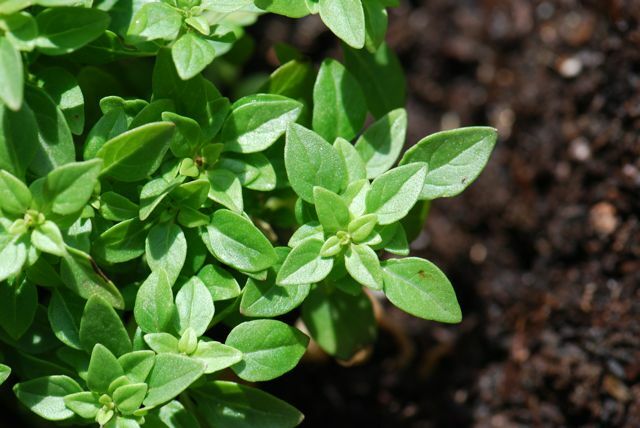 A member of the mint family, basil is used as an herb. As mentioned in last week's hint, it is a key ingredient in pesto. Have you grown basil? What is your favorite use for basil? Well, I'm trying to grow basil. My wife got some as a gift and I planted it outside. Bad move- our weather isn't quite sunny and warm enough. It did flower a little, but the leaves are not in very good shape.